Lately anything that can be made in five minutes or with one hand is what I'm making for breakfast, lunch or dinner. These smoothies fit the bill - with a bonus that I only need one hand to drink it too. Things involving forks and knives haven't been happening too often lately. This "recipe" is more of a method, you can change out the fruit to whatever you like best. 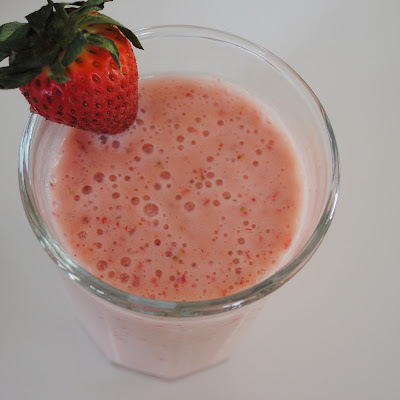 The yogurt is a must have for me - but feel free to use plain or vanilla or even another flavor if you prefer - but it really adds to the creamy smooth texture of the smoothie. I also always combine fruit juice and milk instead of just milk to add some extra flavor. Orange juice is my favorite but I also sometimes use cranberry juice - it's especially good with blueberries in your smoothie. My final tip is frozen berries - using frozen berries means you don't have to add ice. 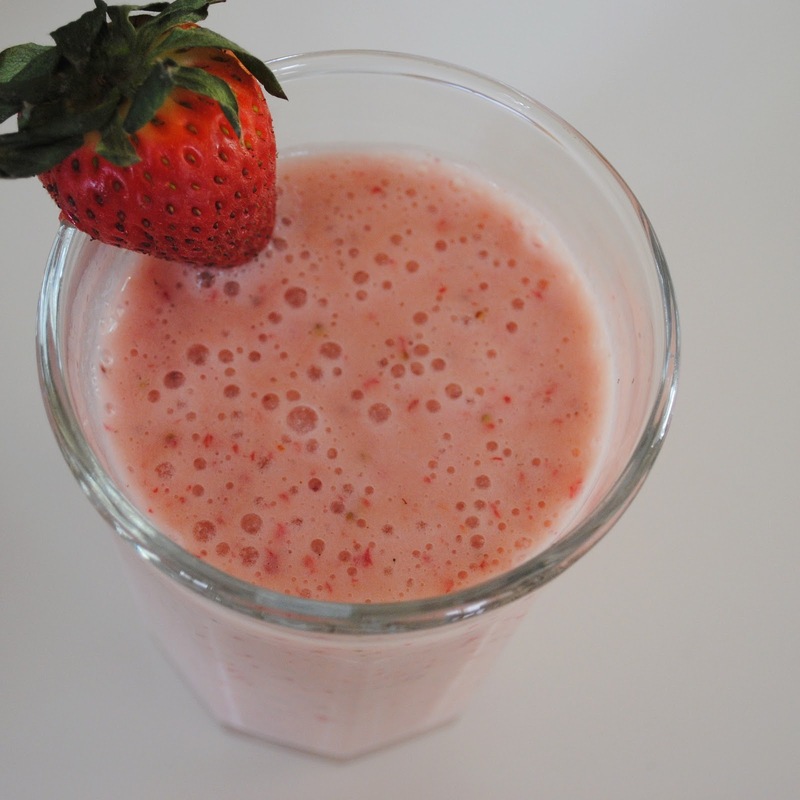 Your smoothie will have so much more flavor if you use frozen fruit instead of ice which dilutes the smoothie. Occasionally I use frozen banana too - it's a great way to use up bananas that are almost past their prime, peel them, cut them into big chunks and freeze in a Ziploc bag and then use throw them in smoothies. If you want to add some extra protein to your smoothie, mix in a scoop of protein powder and its a great post workout snack. I prefer to mix the milk, OJ and powder by itself before adding the fruit because I think it gets rid of the grittiness that can sometimes result from adding protein powder to things. 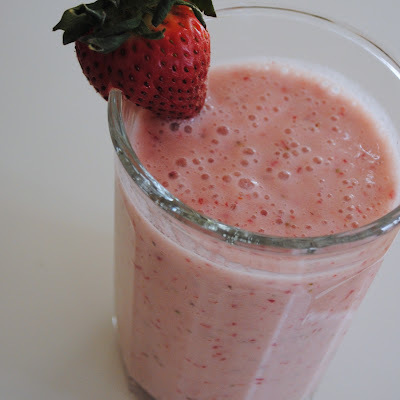 Put all ingredients in a blender and blend on high for about two minutes until smooth. Pour and serve. This makes 2-4 smoothies depending on the serving, for breakfast I usually split this between my husband and I, as a snack, it would serve four. Oh this looks so refreshing! Wish it would warm up here so I could enjoy something like this. Hope the baby is doing well. Sounds as if you are being kept pretty busy! I think this is going to become a staple on my way into work when we hit summer! @Patchie - this is what I do all the time - perfect for busy mornings when I'm trying to get out the door and don't have time to sit down for breakfast. Just made this today and added some crushed ice.Delicious! Delish! :) This drinks looks so good! I'd love a glass for breakfast.